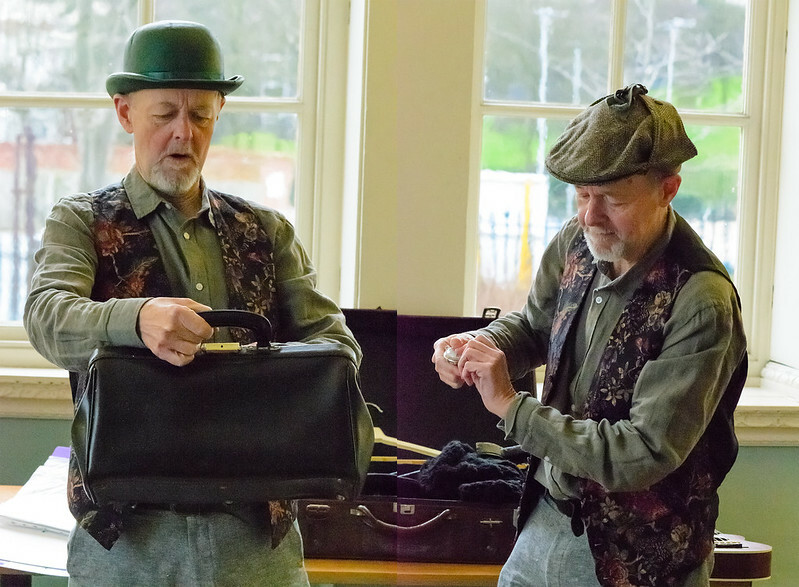 A Sheep in Wolf’s Clothing, an entertainment featuring episodes from the history of Wolverhampton, was performed at Wolverhampton City Archives on 27th and 28th January as part of the Wolverhampton Literature Festival 2018. 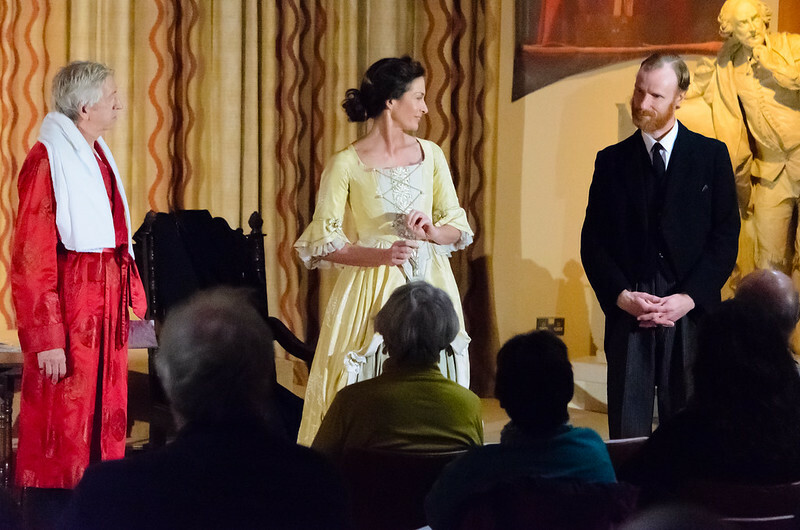 The third part of my Arts-friendly Archives project, Bram and the Guv’nor, was performed at Stratford upon Avon Archives, Shakespeare Birthplace Trust in May 2017. Murchison and the Miners, the second part of my Arts-friendly Archives project, had three performances at Dudley Archives in November 2016. 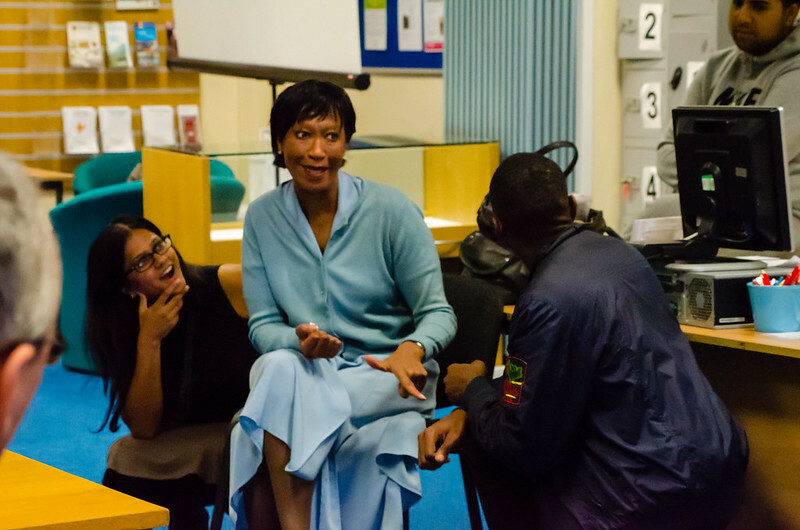 Surnamed Africanus, the first part of the project, had three performances in Wolverhampton City Archives in July 2016. 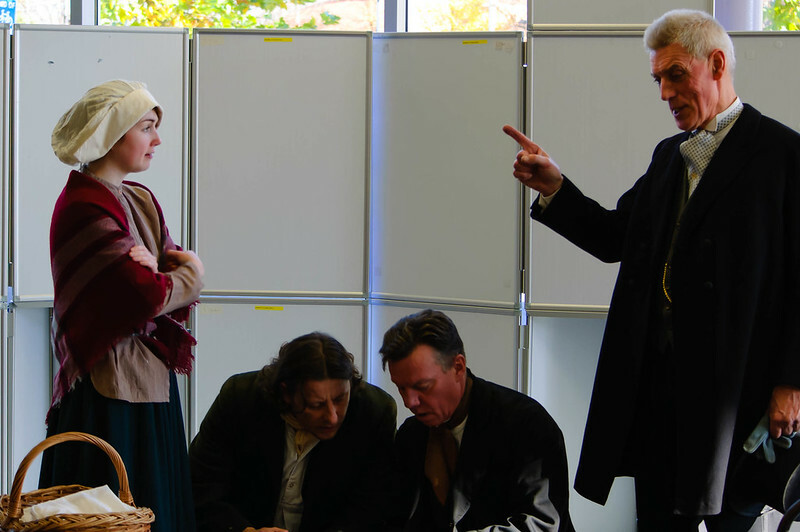 The well-received performances of the plays were also filmed by Wolverhampton University’s Phil Nichols and his students. The video of Surnamed Africanus was premièred as part of the WOLF (Wolverhampton Original Literature Festival) programme at Wolverhampton Archives, all day, on Saturday 28th January 2017, and can now be seen here. Videos of Murchison and the Miners and Bram and the Guv’nor are now also available. The Arts-friendly Archives project is supported by the Arts Council and involves three plays in three venues: Wolverhampton, Dudley (November 2016) and the Shakespeare Birthplace Trust, Stratford upon Avon (May 2017). I write and produce professionally-acted and directed plays. These are frequently based on actual historical events researched by myself. 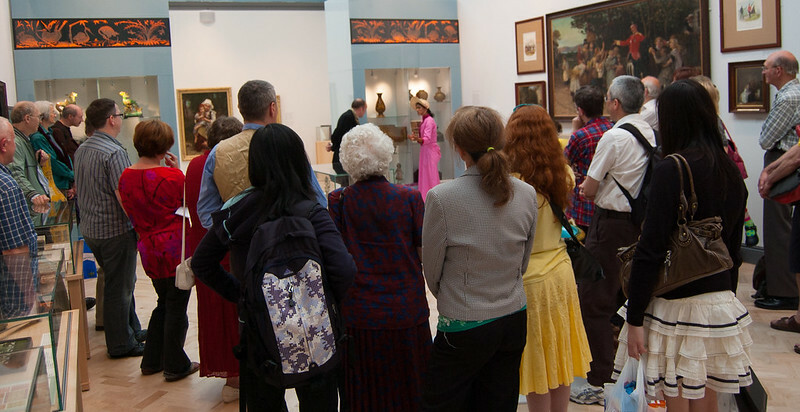 My approach is three-pronged: adult drama involving communities in various venues including open-air ones; plays for children both in schools and historic and characterful buildings; and informal, sometimes promenade, site-specific pieces for adults in archives, museums and art galleries. People’s memories of their area’s past and their own experiences are also important in my script-writing. I aim to create a rapport with audiences who may not see theatre as something they normally do. Using my own research, I create engaging, entertaining and informative plays. My audiences span primary pupils, young people and adults. Whether you want to spotlight an important piece of local history or a building or a collection I can collaborate with you to produce a unique piece of theatre. And we could film it for future use. June 2016, Mary Stevens Park, Stourbridge, Dudley. In the Land of Glass and Saucepans, was a free, half-hour, outdoor comedy staged in the park’s charming Tea Gardens (with gazebo shelter when it rained). 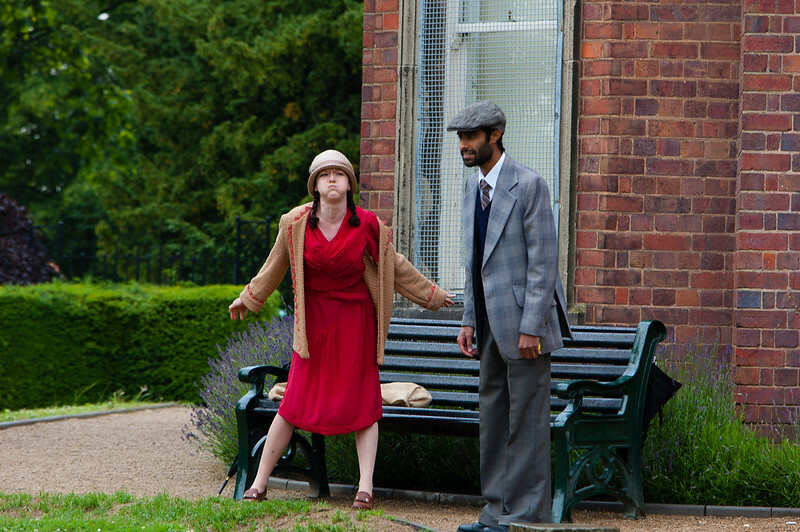 The play celebrated Dudley Council’s Heritage Lottery-funded refurbishment of Mary Stevens Park. There were schools performances for audiences from years five and six, and free performances for the general public at the weekend. Wolverhampton City Council commissioned two outdoor pieces for the re-opening (following an HLF grant) of their East Park: Daisy, Daisy a comedy for adults and We all love a paddle for children and grandparents. The HLF-funded, How d’you know that? was performed live at Sandwell archives and then premièred as a film. The HLF also funded the professional filming of the performance and a short documentary about the project. These can be viewed here. Other schools productions have ranged from A is for Archives (KS1) about a Georgian slave who once lived in the building which now houses the Wolverhampton Archives, to We started it!, about the Victorian origins of Wolverhampton Wanderers, performed in six primary schools, to a seven-minute film I produced with Madeley construction students, about their town’s buildings (Stories in Stone). My adult pieces include the promenade performance Civic Pride at Bantock House Museum, A Matter of Interpretation which responds to an exhibit at Wolverhampton Art Gallery, and Pupil Teacher, performed in the intimacy of Bantock’s Arts-and-Crafts parlour. Would you like me to work with you? I can write comedy or more serious drama. I have good working relations with a number of Archives and particularly welcome writing site-specific pieces for such institutions. Plays start at 15 minutes but can be considerably longer depending on your anticipated audience. Please feel free to contact me to arrange an informal discussion. Here is a complete listing of my previous plays which have been performed.